July 31 marks 35 days to the start of the major college football season (FBS) on Sept. 3, 2015. Every day leading up to kickoff to the 2015 season we’ll take you back to a photo from our travels last season, a photo that may or may not be in our publication, the College Football America 2015 Yearbook. The Yearbook is out now at Amazon.com. You can also find the digital copy at CFBMatrix.com. It’s the most comprehensive guide to the college football season, with preview information on every conference and every team in every division of the game in a high-quality, all-color presentation. We hope you’ll check it out. Last year Chuck Cox was at the opening game at McLane Stadium in Waco, Texas, as Baylor hosted SMU. 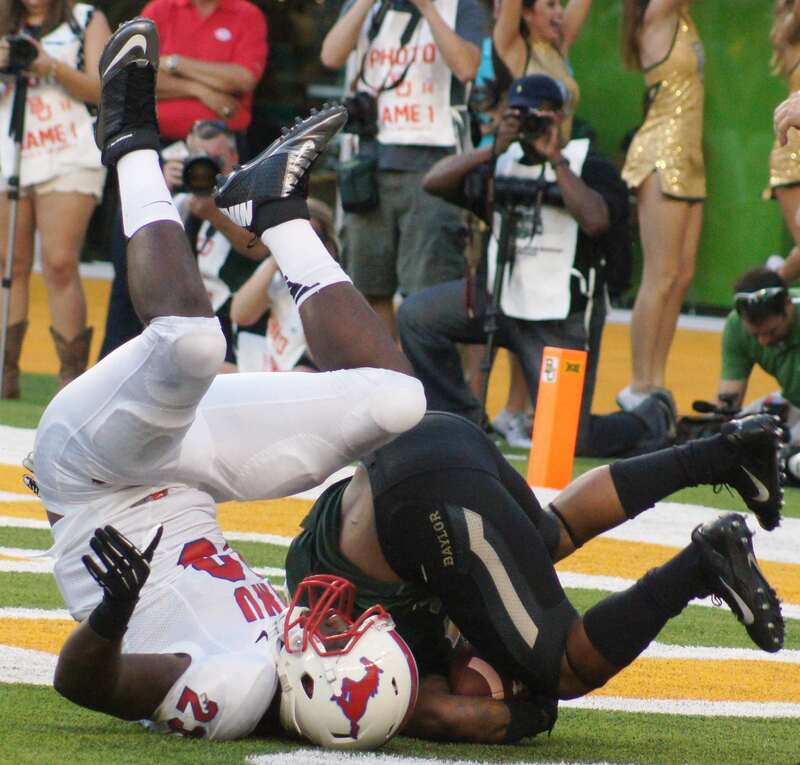 On this play Chuck captured an SMU and Baylor player going heels over head after a football. Check in with us tomorrow for our next photo in our College Football America Flashback.